Mr. Aqeel Ahmed Nasir is the Company Secretary & Chief Legal Counsel of United Bank Limited (UBL). Mr. Nasir has rich experience spread over 28 years in diversified fields of Law Corporate and Regulatory Affairs. Before joining UBL in 2006, Mr. Nasir has been serving various reputed and large public and private sector companies/corporations. Being part of the senior management at UBL, Mr. Nasir is member of various Management Committees. He looks after and supervises the legal and regulatory affairs at global level related to UBL. He is also spearheading the Change Management Process being carried out at UBL. Before joining UBL, Mr. Nasir worked with as Company Secretary and General Manager (Legal) with Sui Southern Gas Company Limited (SSGC) from 2003 to 2006. While serving for various companies, Mr. Nasir got opportunities to work on various transactions related to mergers/acquisitions. He also spearheaded the legal team for the issuance of GDRs of UBL and their enlisting on London Stock Exchange. Mr. Nasir is a qualified Solicitor of Senior Courts of England & Wales and has a practicing certificate under Solicitor Act 1974, issued by Solicitor’s Regulation Authority (SRA). Mr. Nasir is a Master of Laws (LL.M.) from the University of London, England. 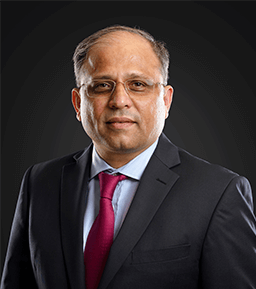 He also serves as a director on the Boards of Kot Addu Power Co. Limited (KAPCO), Pakistan Institute of Corporate Governance (PICG), Funds Committee, LSE Financial Services Ltd. and United Executor and Trustee Limited (a wholly owned subsidiary of UBL). Mr. Nasir was part of the Task Force, constituted under the ambit of PICG, to review the Corporate Governance. He is a certified director from Pakistan Institute of Corporate Governance.